For the eyes, I painted the shapes on in the colors first, and then added the black pupil-type things on top of them. For the eyes, I used OPI Funky Dunkey (thumb), OPI Who the Shrek Are You?, Sally Hansen Xtreme Wear Sun Kissed, China Glaze Happy Go Lucky, and China Glaze Brownstone. As you can see, the choice to use Brownstone wasn't my greatest choice ever, as it is pretty hard to see. It looks better in bright sunlight, but still is not as intense as the other colors. love them!! such a great idea! I like your spooky eyes better than my spooky eyes. I get so carried away, when often, less is more. So cool! 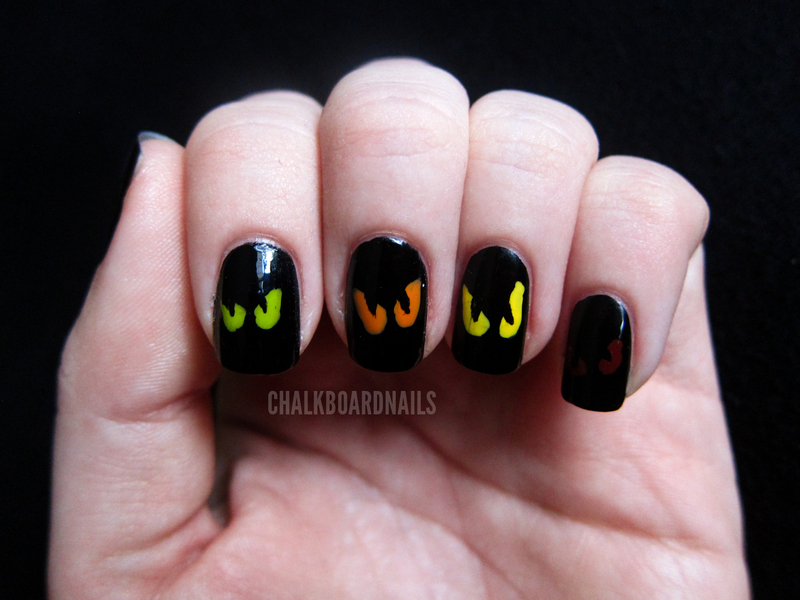 Can you do maybe a candy corn mani? - but not just your usual straight boring lines, something different! I really like it! Its super spooky LOL! Can you do a cool orange mani? ?, because Orange is super "in" right now and I cant seem to find a good orange thanks! I love all your designs! they are so creative! 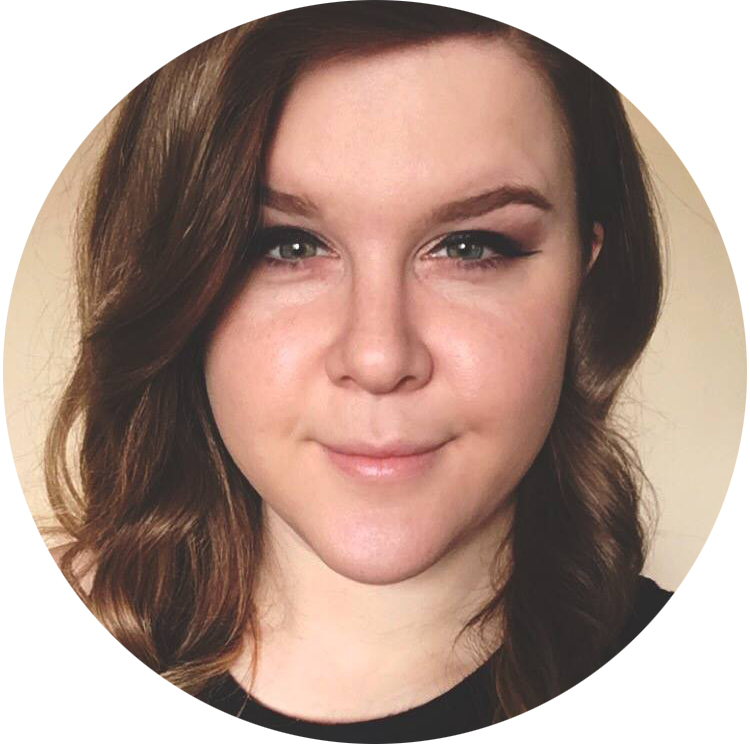 Hiiiiii, I just found your blog by Emerald Sparkled, and I LOVE IT! Seeeeeerious! If you want to see my .. is about nails as well. 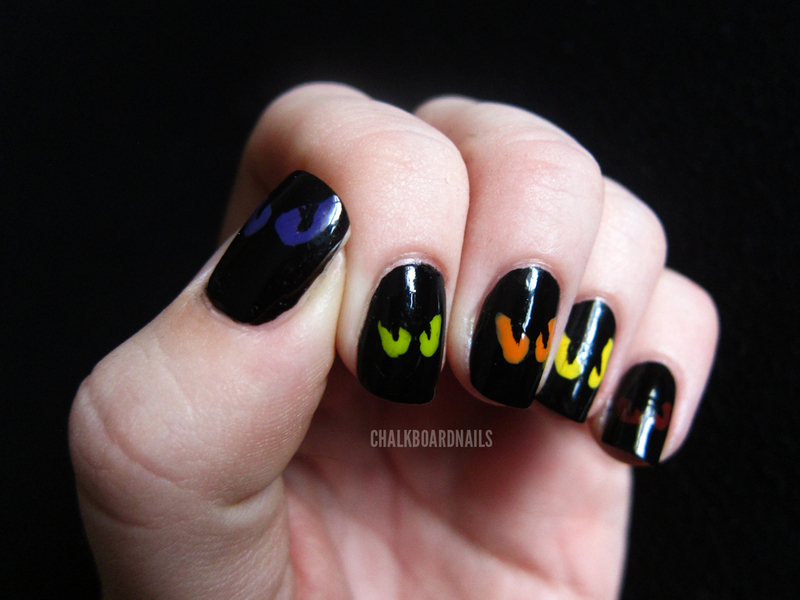 These are spooky--especially the pinky! The index was my favorite :) Maybe I will try this it's reallly cute! This is amazing!!! I am going to be trying this out for tomorrow's mani! This is so cool-would be even cooler if it glowed in the dark!! Those are VERY cute! You did a great job! I LOVE these so much I had to try them out!